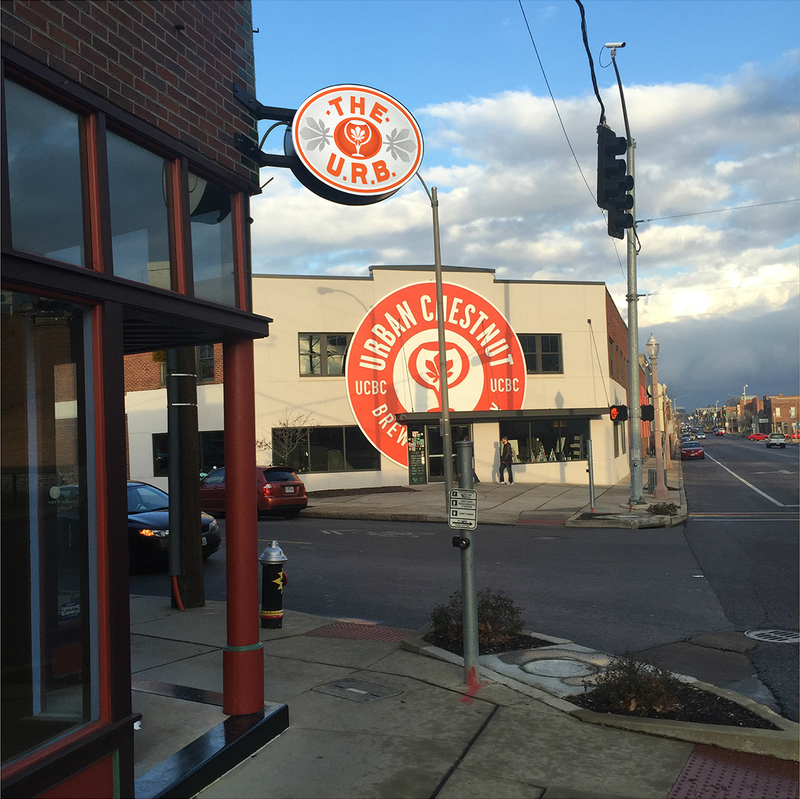 We’re thrilled to work with Urban Chestnut Brewing Co. on its new Urban Research Brewery (U.R.B.) in The Grove. When UCBC invested in its new brewing facility and Bier Hall, we were pretty excited. Not only would we have exceptional beer in the neighborhood, we knew it was a smart investment on their part. If you don’t know, UCBC beer is insanely good. The brewery has grown quickly from its start just a couple years ago. Along with this growing success comes growing expectations. The outdoor bier garten in Midtown was the perfect transformation of an urban space and has been deservedly popular. The bier hall in The Grove presents a different experience, with long community tables and an expansive space to down a pint (or two, or…) in an energetic communal atmosphere. It too has been a great success. 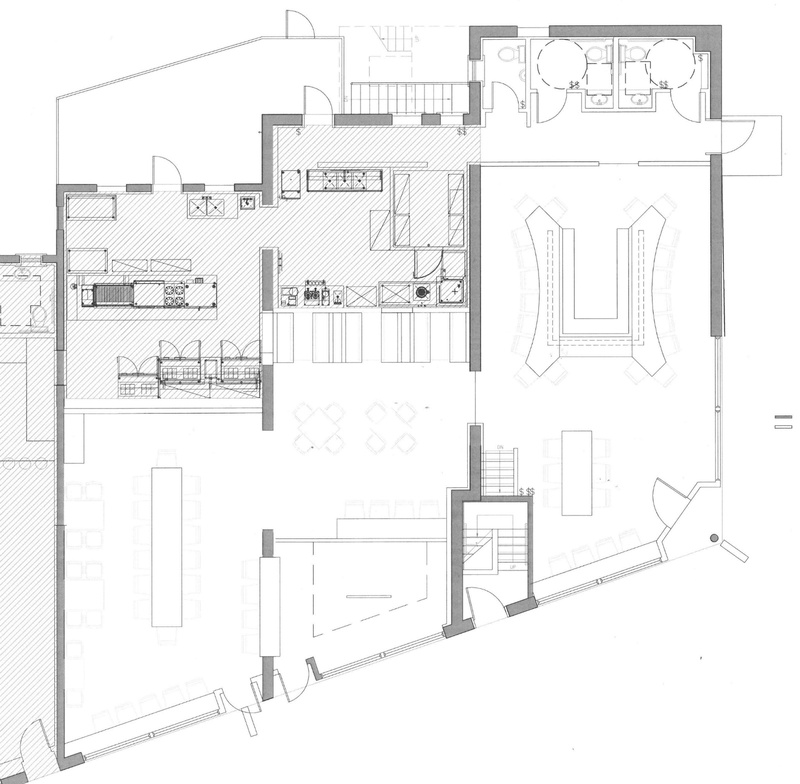 With this in mind, we knew we couldn’t simply design just another bar. This isn’t just another brewery, and more than that, the U.R.B. isn’t just another location. The U.R.B. will occupy a small retail space across from the bier hall. It needs to be a comfortable setting for sipping alone, or dissecting the nuance of the latest experimental beer with friends who fashion themselves the next beer Cicerone. Working in a small space requires creativity. It was tempting to simply squeeze the largest rectangular bar possibly into the U.R.B., but that’s boring. The traditional bar allows someone to speak to one person on either side, but not for those two to have a conversation. We imagine small groups of friends gathering at corners of the bar, comparing notes, individuals meeting fellow beer lovers, and tasting panels conversing with the brewer. The 2 bbl pilot brewery will find a prominent place at the windows of the second retail bay, where booths and a table facing the stainless tanks will offer more seating. The small batches will turnover frequently, with as many as 50 experimental beers produced each year. We expect a lot of traffic through the U.R.B.! While the focus will be on the beer, we hope to produce a setting that enhances the unique experience.